Jesse Washington was born in Brooklyn to an artist father and social worker mother. His family moved to Poughkeepsie, NY, when he was in grade school, and he began his career covering sports for The Poughkeepsie Journal the summer after his freshman year at Yale University. The next summer he returned to the Journal and switched to local news. He got his first front-page byline on his 19th birthday, on a story about Louis Farrakhan’s visit to the home of Tawana Brawley. While in college, Jesse became a DJ, pledged Kappa Alpha Psi, and played on the basketball team. He also worked for Business Week magazine, the Hartford Courant, The New York Times, and completed a summer internship with AP. He started a reporting job in the AP’s Detroit bureau after graduating from Yale in 1992. A year later, Jesse transferred to AP’s national editing desk in New York City. In 1996, he became assistant bureau chief for New York City. At the end of 1996, Jesse left AP to become managing editor of Vibe. In 1998, he was named founding editor-in-chief of the Vibe spinoff Blaze, the largest magazine launch of the year and the biggest music magazine launch ever. In the premiere issue, Jesse made news with an editorial describing how the artist Wyclef Jean threatened him with a gun over a negative album review, which Wyclef denied. Jesse was hospitalized after another confrontation with a rapper angered over his coverage. He was fired in 1998 after a dispute with the owner of the magazine, who refused to publish Jesse's editorial about the acquittal of his friend in a high-profile Manhattan murder case. Next, Jesse started a company with his father that published two coffee-table books, on the black artists Romare Bearden and Elizabeth Catlett. He co-founded the street basketball magazine Bounce and wrote eight cover stories for the Houston Press. In 2003, Jesse returned to AP as Entertainment Editor, supervising a team in New York and Los Angeles covering film, television, music and celebrities. He made news in that position due to an experimental story describing how AP tried not to publish anything about Paris Hilton for one week (the effort ended when she was arrested), and again after news leaked that AP had prepared an obituary for Britney Spears. Jesse's first novel, Black Will Shoot, was published in 2008. Later that year—three months before the election of the first black president--he began covering race for AP. 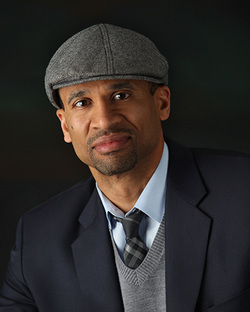 In 2011, Jesse won a National Journalism Award from the Asian-American Journalists Association and was named Journalist of the Year by the Philadelphia Association of Black Journalists. Since 2015, Jesse has been a senior writer for ESPN's The Undefeated, a platform for exploring the intersections of race, sports and culture. Jesse is married with four children and a member of the Baha'i Faith. You can find him giving folks the business on a basketball court near you.